As we hold on tightly to these last few weeks of summer, it can be fun to cook on the grill, even if it is just dinner for two. 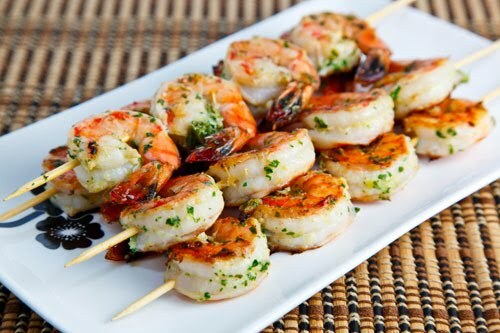 Grilled Shrimp Skewers are a yummy and quick treat to create. Try adding a herb-butter sauce while grilling and squeeze a splash of lime over top of the skewers right before serving for a refreshing pop. To add more sizzle, add a couple dashes of cayenne pepper to the skewers while still on the grill. Dice up some papaya and mango, add a little honey, a few dashes of red wine vinegar and salt/pepper for an exciting dipping sauce!